Faby Skyline machines are instock and ready to ship out. Please call in for shipping charges and quanity on hand to fulfill your order today. Faby Skyline two Bowl model is the latest and improved fast freeze model 120V in Black color body, lid and panels. The large condenser coil and better designed evaporator, the machine hold up better than other Brands even at higher temperatures. Machines are shipped by truck, safely mounted on wooden skids. Excellent merchandising machine for all occasions and all types of businesses in which it can be placed for visual impulse buyng. It has a trendy merchandising lid cover with LED lighting in the rear of the bowl to light up the Bowl contents. 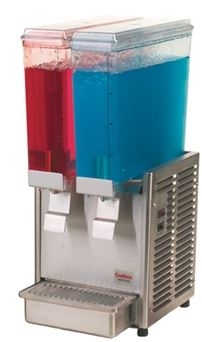 It is designed as a Fast Freeze model with a large condenser coil to freeze normally where BUNN and Sencotel models fail. Faby Skyline is capable of freezing Margarita better than other models. Easy to clean, maintain and operate. Unlike is Bunn Ultra models, the electronic controls have been eliminated with manual switch operation and controls. 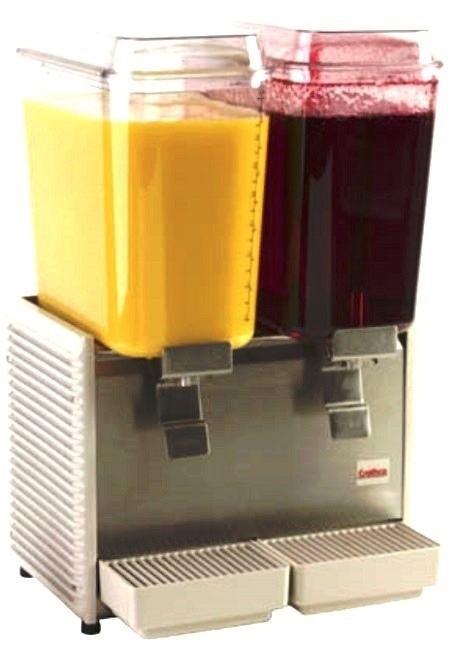 Faby slush machine has established reputation for freezing normal in temperatures at 90F and over. It has improved Kenta gear motor with fan blade on its Rotor shaft for cooling armature and extend its life. The second gear inside gear motor is all metal. 1- Six month easy PayPal financing with PayPal approved credit. 2- Rental program for Birthdays, Graduation, celebration parties and at exhibition booth of every kind and Trade show booth displays. Warranty: 2-year warranty for electrical parts and unlimited technical support is available for quick fixing and reduce downtime. During two year warranty, if machine fails due to refrigerant leakage or compressor failures, we replace the base machine. Dealer/ re-seller inquiries are welcome. We ship machines to Caribbean and Central American Countries. Multiple location operators, Supermarkets, Convenience stores, Restaurants, Gas station owners, Car dealerships, Rental businesses and Food service Chains are invited to discuss special sales packages.